Paul is the Group General Manager at DWS Hospitality Specialists who brings with him 20 years of management and finance experience in the five star Hotel sector, with a global career background spanning work in London and Italy. As a specialist in hospitality back office and finance functions, Paul has successfully coordinated projects addressing governance improvement, software integration/implementation, IT hardware upgrades, revenue enhancement and cost saving initiatives. Paul brings significant hospitality expertise to the DWS team, combining his sound business acumen and financial astuteness with his experience managing sophisticated hotel and food and beverage operations. 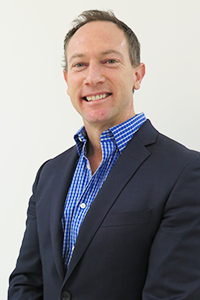 Paul’s associated qualifications include a Bachelor of Business (Accounting) and he is a Certified Practicing Accountant.